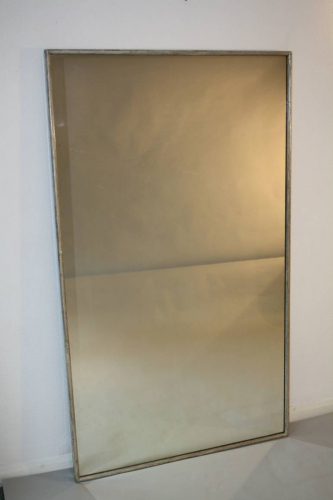 A lovely quality narrow framed pale silver bistro mirror. The silver frame is slightly distressed so appears cream or pale silver in places. Can be hung portrait or landscape. Great size. French c1950.